I spend an hour or two every week crafting our weekly e-newsletter – editing content, uploading a few images, and creating links to drive traffic to our website. I tend to obsess over this piece, endlessly proofreading for errors and triple-checking links. Until recently, however, I had not paid nearly enough attention to one of the most important parts of this or any e-newsletter – the subject line. Our previous newsletter, Connections, was in print format, several pages in length, and heavy on narrative (book reviews, articles about services and collections, etc). When we changed the format to an online-only version, we also changed the nature of the newsletter. It is now focused on events at the library and entries are much shorter, organized by age range, and contain brief blurbs about events with a “Read more here…” link that directs readers to our website and online calendar. We initially kept the name “Connections” in the subject line to ease the transition for longtime readers of the print version. After several months, I dropped the “Connections” because, even though it is still the official name of the e-newsletter (and is found on the e-masthead), I wanted the subject line to really reflect what was inside in a very focused way – what is happening in any given week at the library. Also, we realized that while staff felt connected to the title, most of our patrons just call it “the e-news.” However, after a while, I realized that although short and to the point, Version 2 is also dead boring. The third time’s the proverbial charm. By moving from “Lawrence Public Library” to “Your Library”, the first half is not just shorter, it also reminds readers of their ownership of this community institution. They still know it’s from us, as the “From” address is still Lawrence Public Library. The second half serves as a teaser for what’s in the newsletter and for what’s happening at the library in that particular week. I choose things that are catchy, unexpected, and just fun to put together. This also serves to highlight the wide variety of programs and events happening any given week. The new subject line still reflects exactly what’s in the newsletter; it’s just a little catchier and more likely to go from inbox to actually opened and read. Our e-newsletter has always enjoyed a solid open rate, but since adopting this new subject line, there’s been a slight and sustained increase. If you’re interested, here’s where you can can read an archived version of the current issue and sign up to receive it. 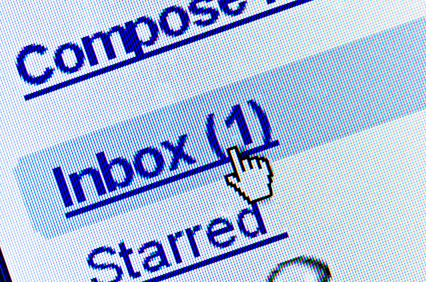 Are you responsible for an e-newsletter? If so, what’s in your subject line? I’ve also found much better results with version three. I tend to pick three big events and promo them in the headline. I haven’t omitted the eNews name yet, but I may consider it. It does take up room that could be better used for promotion. Farmington Library e-newsletter for our monthly, pretty boring…I do use catchier phrases for our single event e-blasts.